PANTI BLISS, activist, entertainer, drag queen, personality, and bona fide National Treasure, is bringing her show High Heels In Low Places to the Town Hall Theatre on Saturday July 4 at 8pm. Poignant, hilarious, insightful, entertaining, and ultimately inspiring, High Heels In Low Places is a mixture of stand-up, the story of Panti's (aka Rory O'Neill ) life, encompassing her views on attitudes to the LGBT community, and a powerful plea for tolerance and the freedom to be yourself. 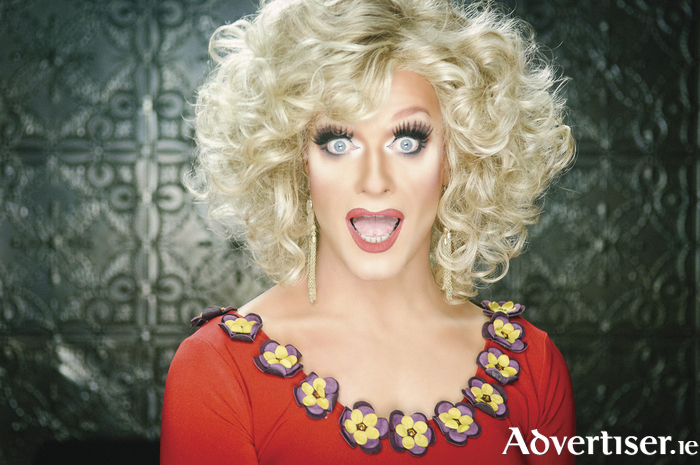 Panti landed herself in the middle of a media controversy christened ‘Pantigate’ that rocked Ireland in 2014. Soon after, she became a Youtube sensation when a speech she made about homophobia, described as “the most eloquent Irish speech” in 200 years by The Irish Times columnist Fintan O’Toole, went viral, was broadcast around the world, debated by politicians, and even remixed by the Pet Shop Boys – sparking a powerful conversation about equality. High Heels in Low Places has enjoyed critical acclaim. The Irish Times called it “exquisitely tart-tongued comedy...electrically revealing and masterful”, while The Guardian called it "wickedly funny". Page generated in 0.1023 seconds.